Jill Danyelle of Verdoier gave this 1920s home in South Orange, New Jersey, a modern-day facelift, while preserving its historic charms. In the dining room, wood-paneled walls are balanced by a streamlined table from Blu Dot, a patterned hide rug, and a fanciful faux Peacock sculpture. Any design lover worth their Pinterest page can tell you that the most intriguing interiors often come about when just the right divergent styles meet and mix. Think of a midcentury chaise tucked beneath an old-world oil portrait or a piece of neon light art above an antique French settee. The epitome of this ethos (and the most difficult to do well) has to be outfitting a space with an undeniable time-stamp—say, a 1920s home in a notably historic New Jersey neighborhood—with pieces that would ordinarily never have found their way into it. Relocating from cramped quarters in the city to more space for her growing family, jewelry designer Tammy Tiranasar was looking to bring her vibrant style into the new home she was creating. She looked to Jill Danyelle of Verdoier to help make their new home come to life, and Danyelle merged the boho-modern tastes of her clients with a 100-year-old home to create a family-friendly refuge that's far from a time capsule. The home's traditional air is balanced by furnishings that are light in both color and visual weight. 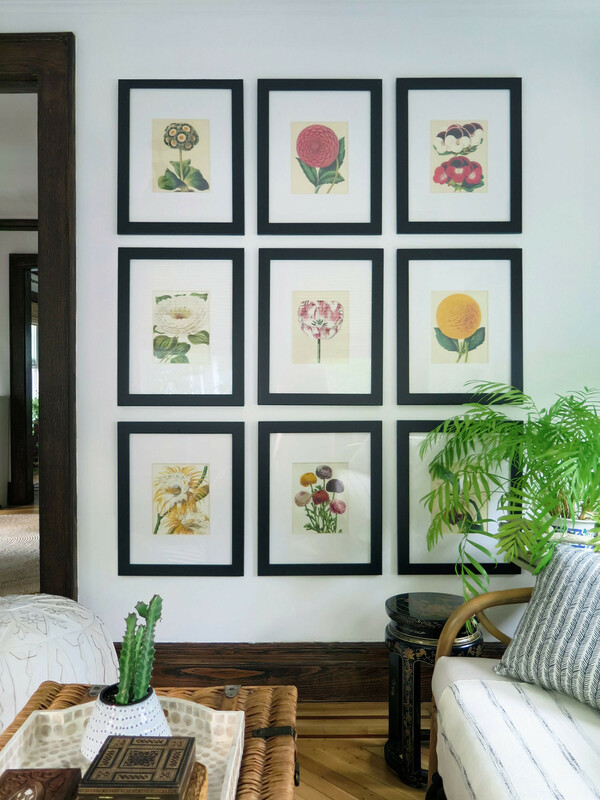 A series of botanical prints in the sun room is one of the few things the couple repurposed from their city apartment. 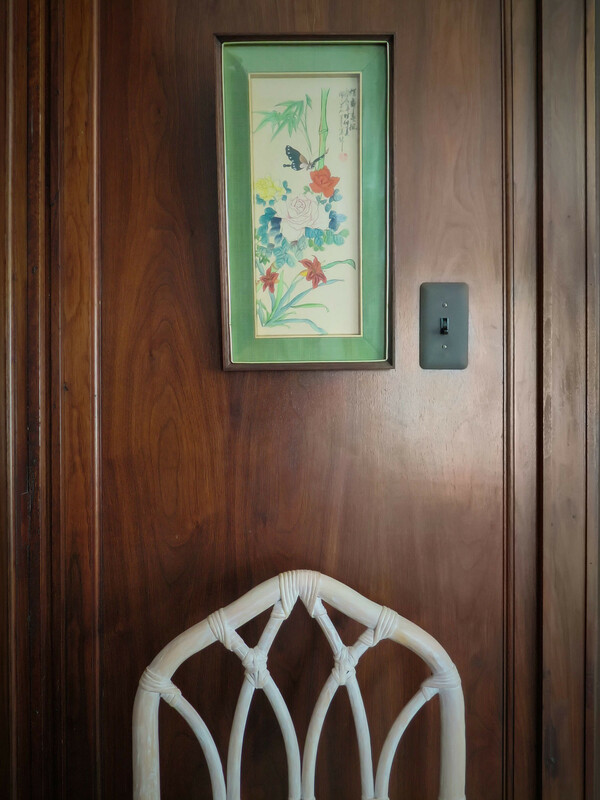 The directive was relatively simple: honor the traditional style of the home, while keeping it fresh and livable for every day. In other words, marry the urbane cool honed during the couple's New York City–dwelling years with that magic, bucolic vision of life just outside of it. "They wanted to be able to entertain and have kids from the neighborhood over, but they also wanted the home to feel pulled together and stylish," says Danyelle, whose firm Verdoier has taken on a number of projects in the city as well as the nearby enclaves its residents tend to escape to. "This house had me at hello," says Danyelle. "It is one of the smaller homes in the neighborhood, but I love its proportions. Each room feels cozy, but is big enough to gather in." Another plus, the floor plan feels open and airy despite having never been renovated to suit that contemporary inclination toward removing walls. The elegantly aligned passageways between each space create long sight lines and a feeling of grandeur, without undermining the formal separation of rooms that would have been typical of the time period (and, surprisingly, are preferred by its most recent decorator). "I know everyone seems to want an open floor plan these days, but, when done well, I actually like to have some separate rooms," she reveals. 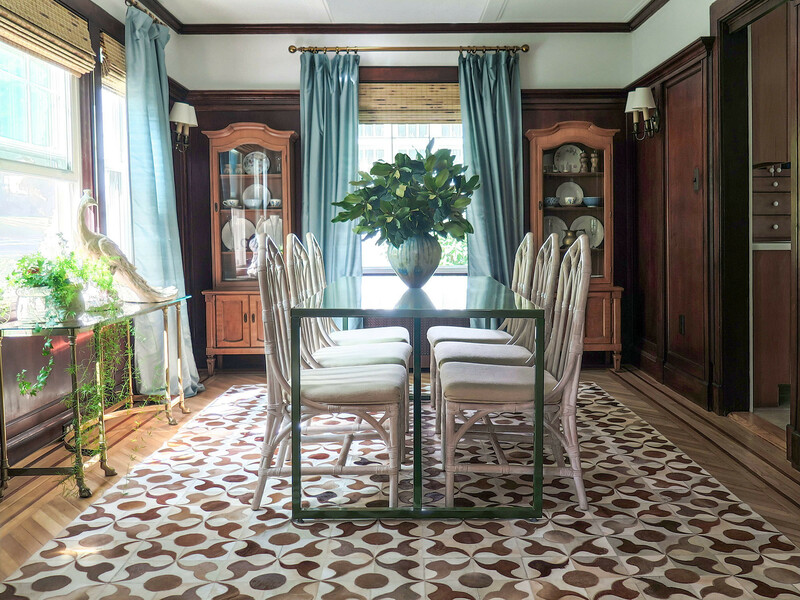 Danyelle chose to leave the historic home's shell as it was, instead layering in globally-influenced, colorful furnishings for a contemporary mix. In agreement that they wouldn't be doing any major renovations, Danyelle and her clients set about incorporating their not-so-historic interiors style into the largely unaltered 1920s shell. The only outright challenge they faced was the timeline, which had a rather intimidating end date—the couple's wedding, to be held on the front lawn. They decided to prioritize the main floor living spaces, which fatefully came together just in time, and circled back to the master suite after the big day. One last surprise item—a small and sweet nursery—was added to the agenda shortly after, when the couple found out they were expecting. A vintage bench and a pair of sketches belonging to the homeowners make an artful vignette in the master bedroom. In the same space, a gold lattice headboard lends a glamorous note to the room's rich combination textiles. With some cosmetic zhuzhing completed—floors refinished, light fixtures swapped out, and dreary metal blinds removed—prior to moving in, Danyelle got down to the fun part: outfitting a house several times bigger than the clients' previous apartment top to bottom. 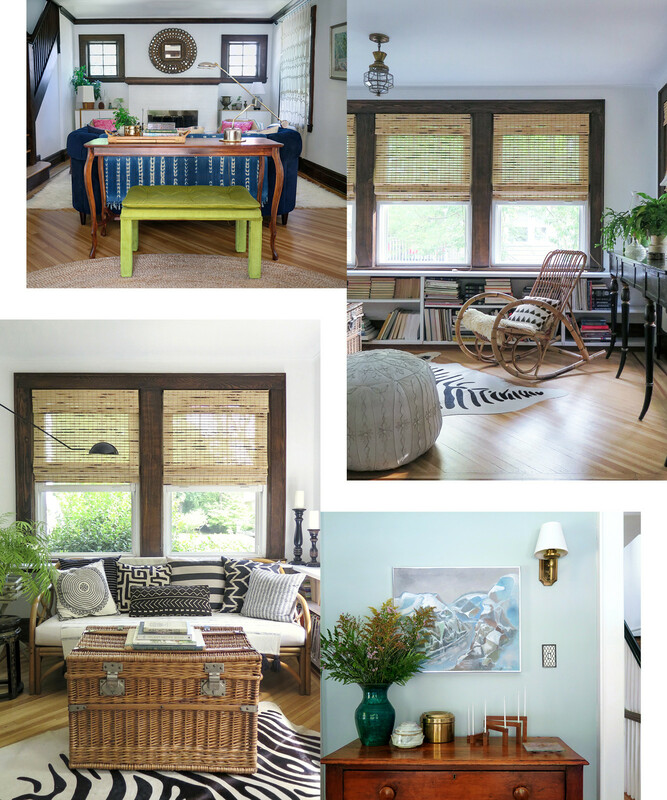 She mixed carefully selected custom-made furnishings with vintage items and accessible retail finds from West Elm, Lulu & Georgia, and Anthropologie. While she excels at giving spaces a sense of soul with special pieces from flea markets, auctions, and eBay, she candidly advises that the retailers she calls "the usual suspects," are favorites for a reason. "Believe me, I am happy that all that goodness exists at those price points," she says. The space that perhaps best exemplifies the home's old-meets-new formula is the dining area. Danyelle and the homeowners chose to preserve the dark, wood-paneled walls original to the home and embrace the moodiness they created. A patterned cow hide, Blu Dot's standout Strut table, a set of bamboo chairs in crisp white, and an eye-catching faux peacock sculpture create the perfect balance between modern and traditional, light and dark, and formal and fanciful. 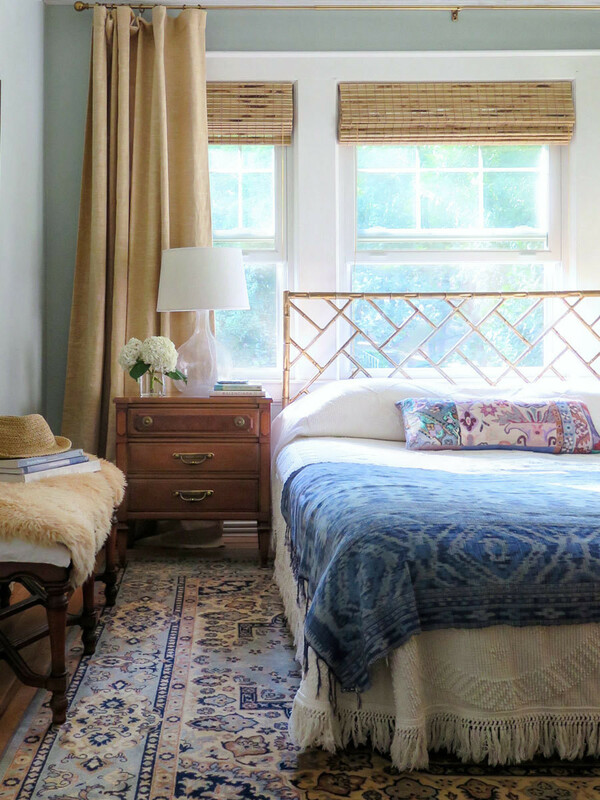 In the nursery and attic office/guestroom, a bohemian vibe takes hold. The former includes a vintage bird print and colorful kilim. The latter plays host to curvaceous rattan chairs paired with a streamlined IKEA desk, and a pair of daybeds draped in drop cloths for flexible seating and sleeping setups. The final result? A home that feels warm and welcoming at all times and for all purposes. "I was there for a few days styling and photographing at the end," recalls Danyelle. "All of the windows were open and it was so breezy and bright. But I've also been there in the winter, when the clients often light a fire in the living room." Perhaps the home's star turn, thus far anyway, was when the longtime couple closed off the street and held a special wedding celebration on their new front lawn, complete with family, friends, and a very satisfied decorator in attendance.